“Chris is one of the hottest stars on the book circuit." "One of the most unparalleled book events of the year!" 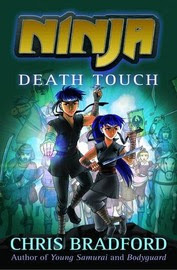 Author of Young Samurai, Ninja and BODYGUARD series. Martial Artist, Literacy Champion and Method Writer. Life goal: Getting kids reading! 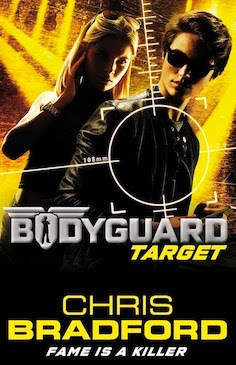 Chris Bradford is the Top Ten bestselling author of the BODYGUARD and Young Samurai series. 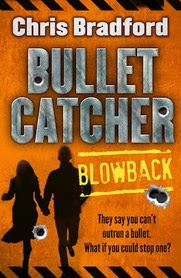 He is also the author of several dyslexic and reluctant reader series for Barrington Stoke: Ninja, Bulletcatcher and Gamer. He has been published in more than 20 languages and been nominated for over 30 book awards, including winner of the Northern Ireland Book Awards, the Hampshire Book Award and the Brilliant Book Award. A true believer in “practising what you preach”, Chris trained in samurai swordsmanship, ninjutsu and earned his black belt in taijustu for his award-winning Young Samurai series. For his new BODYGUARD series, Chris embarked on an intensive close protection course to become a qualified professional bodyguard. Chris Bradford is renowned for his unique and dynamic performances that combine interactive readings, audio-visual material and martial arts displays designed to encourage even the most reluctant readers to read! Train to be a bodyguard – learn their secret defence techniques! 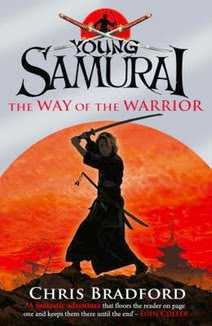 Young Samurai: The Way of the Warrior was deemed one of Puffin’s 70 Best Ever Books, alongside Treasure Island and Robin Hood. What a pleasure it was to meet you last week! Thank you so much for coming to BSB and enthusing the students with your action-packed presentations. There was such a buzz after they saw you and I can confirm that, despite having multiple copies of all titles, not a single one is in the library at the moment! Many of the students have given very positive feedback about the shows and those lucky enough to have breakfast with you were absolutely delighted. It was wonderful too that you gave students the opportunity to meet you in the Book Shop which did a roaring trade while you were here and continued to sell after you left. My apologies for not writing sooner but as you know we continued our celebration all week and by the end of Friday were happy but exhausted! It was wonderful to celebrate reading all week across the whole school community from the smallest to the oldest.